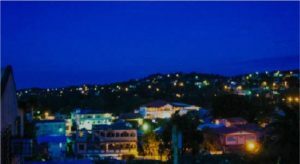 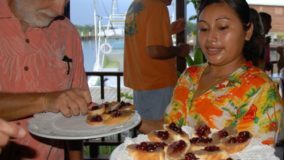 Over the last several years Placencia, located in the Stann Creek District of Belize has grown from a sparsely populated fishing community to a popular tourism destination and ex-patriot haven. 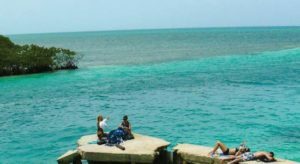 Next to Ambergris Caye, it is the most visited locale in the country, and with a road trip itching to happen it was time we ventured to the mainland to check it out. 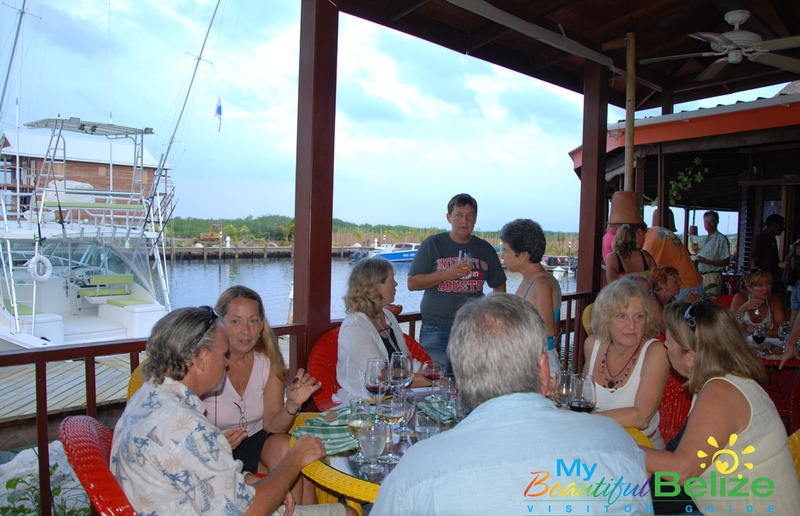 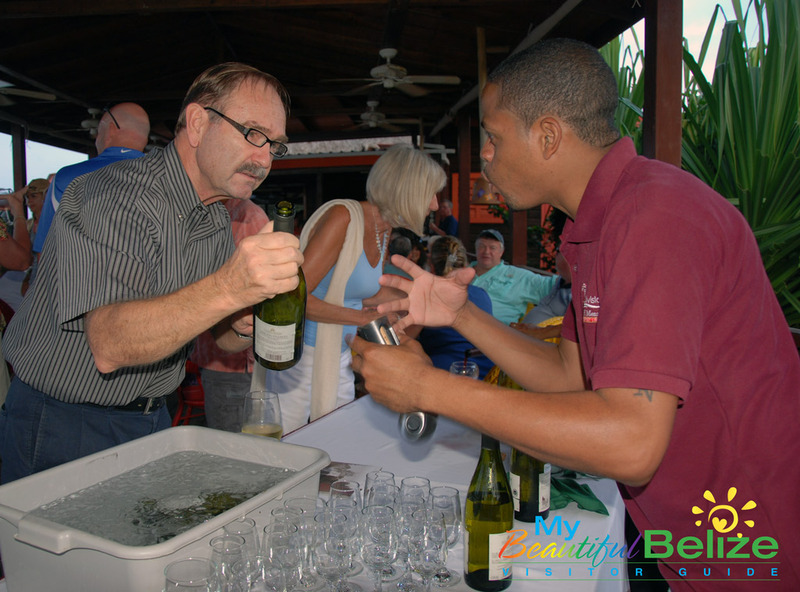 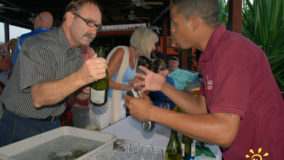 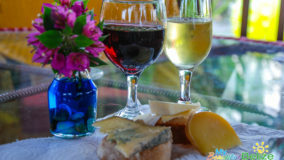 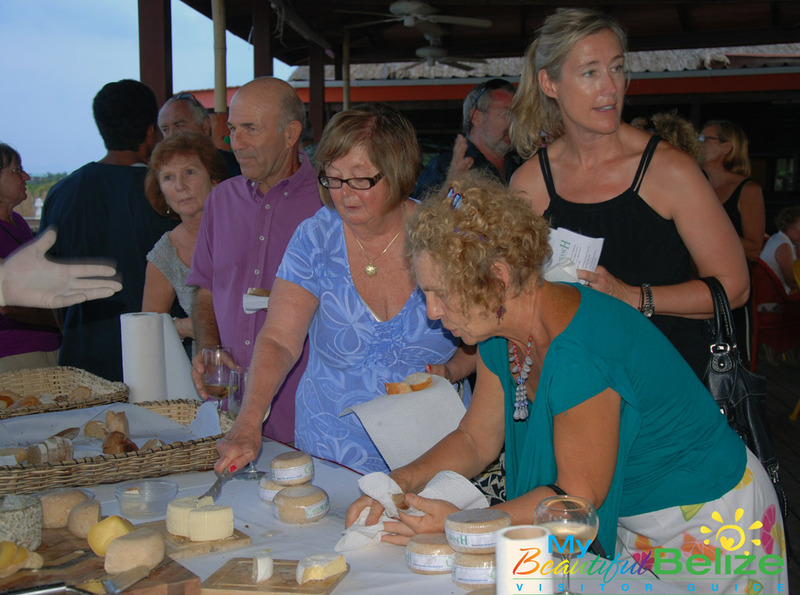 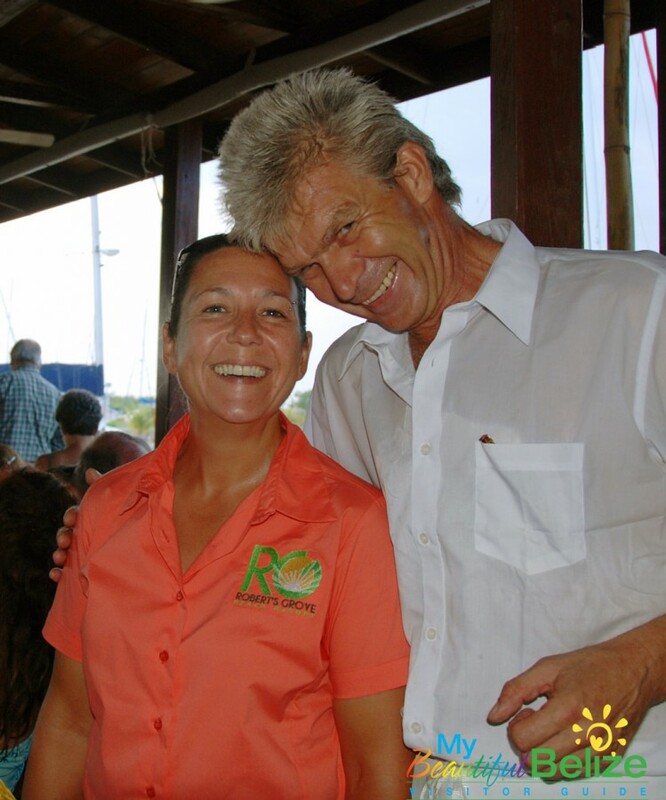 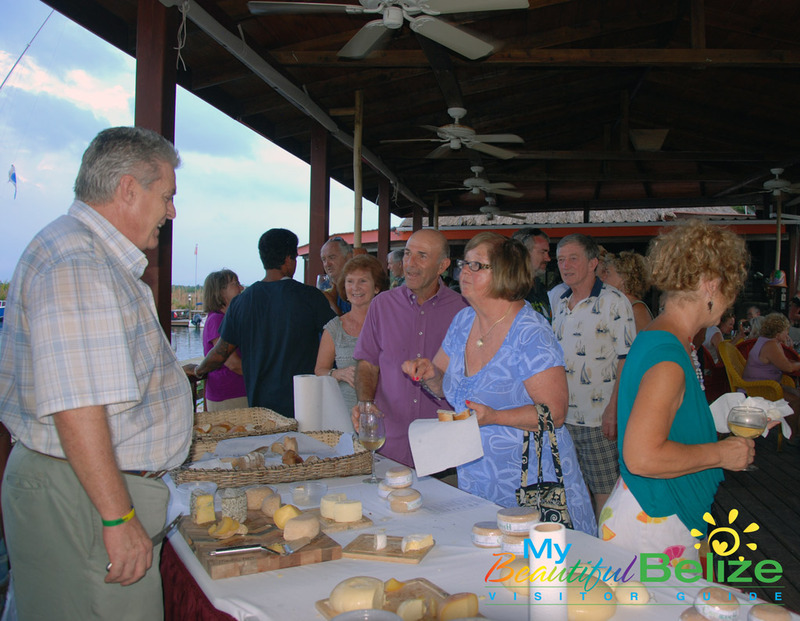 With an invite to a wine and cheese tasting by our good friends Anna and Gunter who had recently moved their business to Placencia from San Pedro, and the lure of the annual Placencia Arts and Music Festival the same weekend, what more reason did we need? 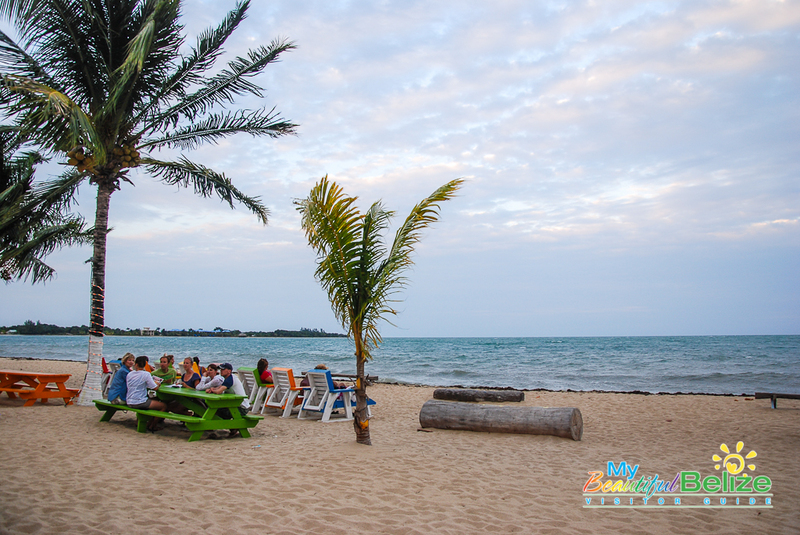 So after renting a car from the nice people at Crystal Auto Center we were south bound to the land of “Barefoot Perfect” beaches. 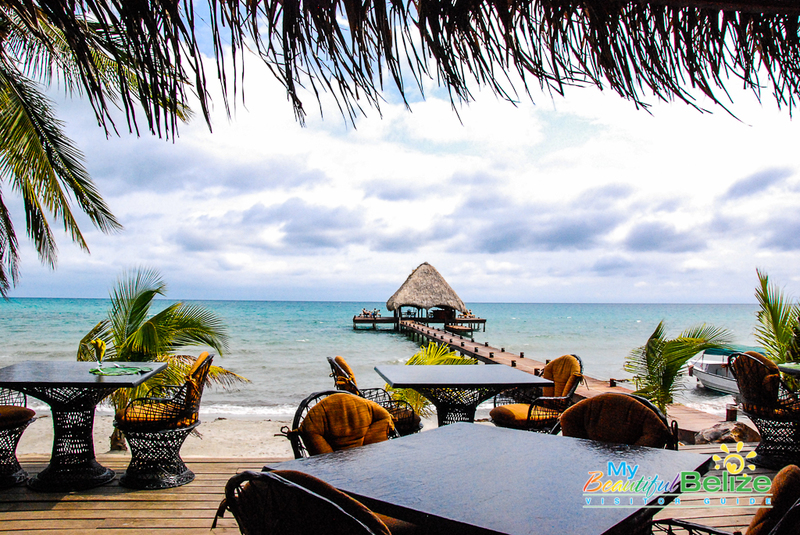 Once we turned off of the Southern Highway to the peninsula we admired the miles of sandy beaches bordering a panoramic ocean view to the east and the Placencia Lagoon with vistas of the Maya Mountain Range to the west. 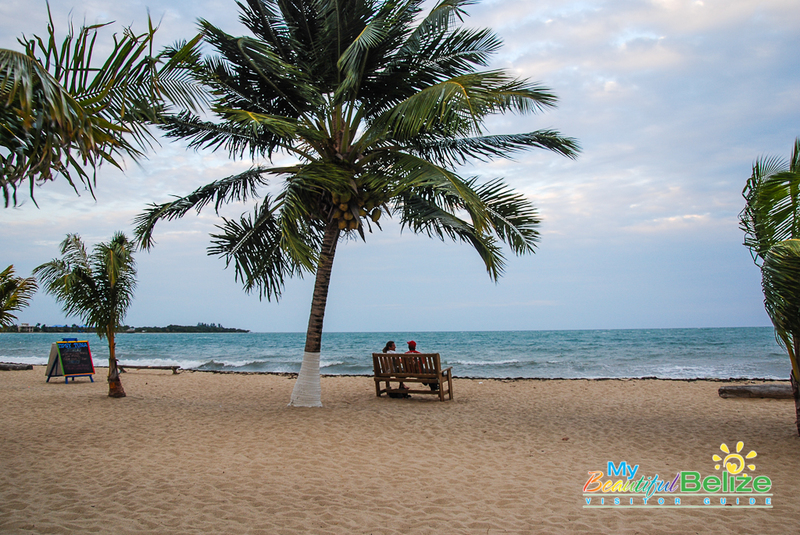 The views were an irresistible slice of Caribbean heaven and the appeal of Placencia unfolded before us. 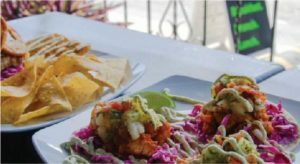 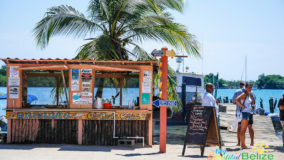 At the very end of the 16 mile-long peninsula lays the once sleepy Placencia Village, now wide awake with thriving restaurants, bars and resorts. 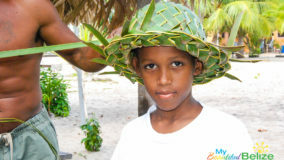 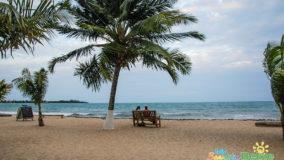 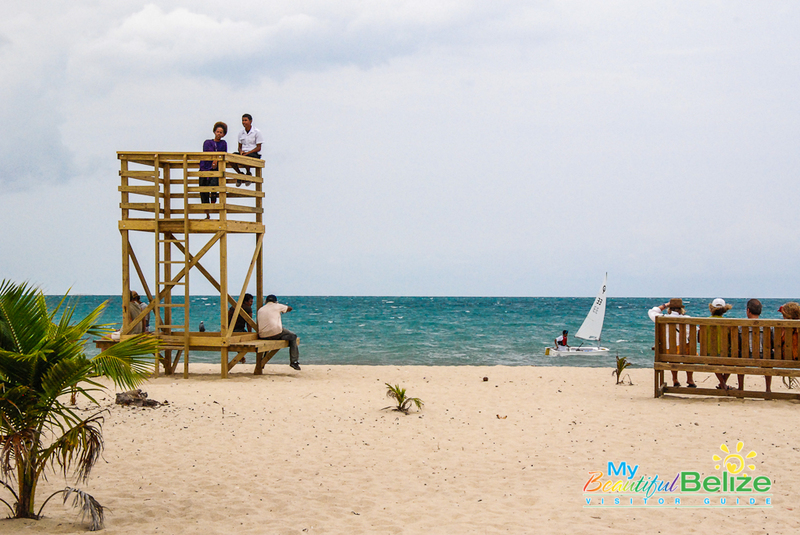 This area is usually what folks are referring to when they speak of the Placencia destination; where the last few miles of the peninsula is populated with beachside and lagoon side resorts before passing through the village and ending at the marina. 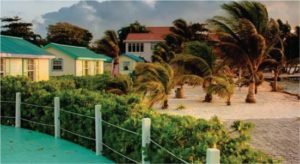 We were surprised at how spread out things were and discovered there is a lot more to this tendril of terrain than just the end of the isle. 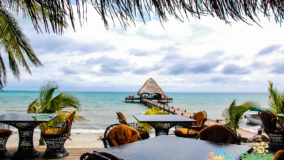 If you travel there via road like we did,you will pass through colorfully named locations such as Maya Beach, Seine Bight Village and Rum Point. 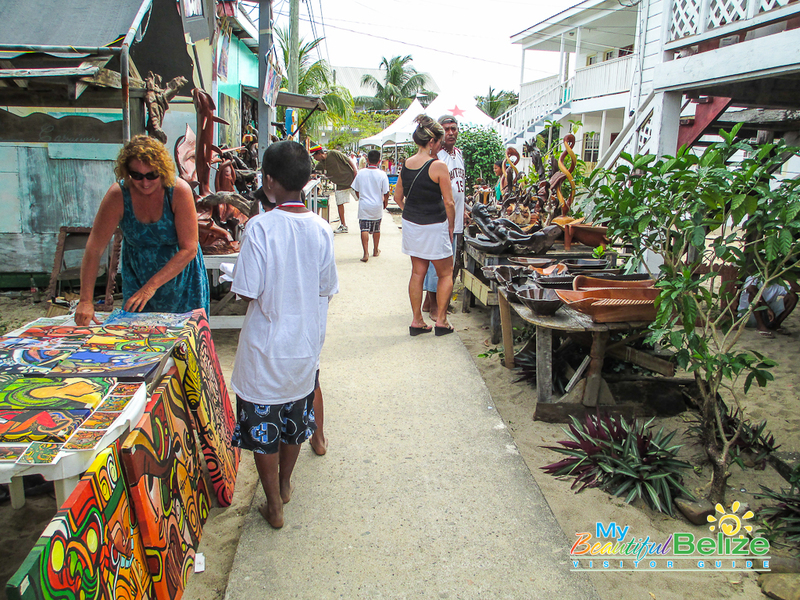 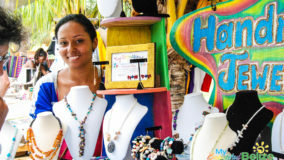 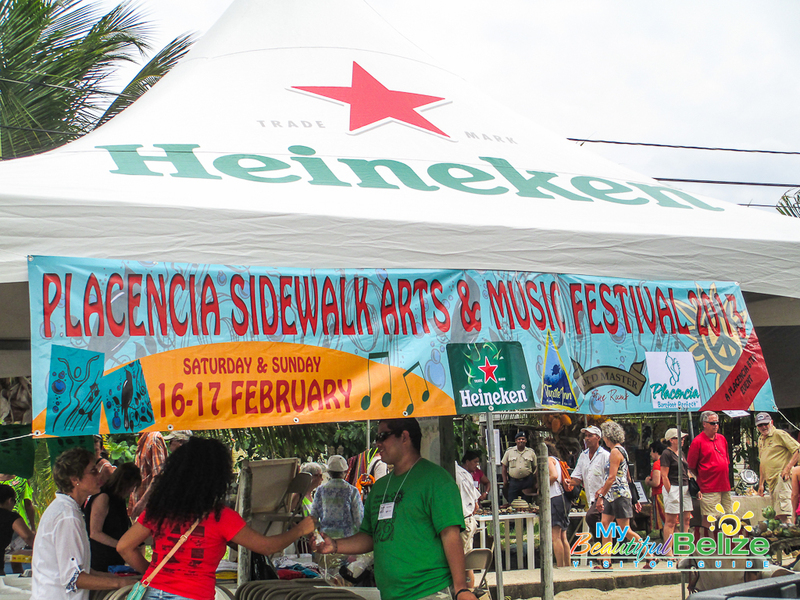 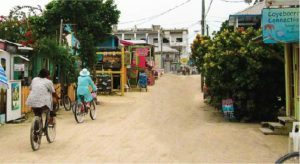 Within the beachside village of Placencia winds their historic sidewalk. 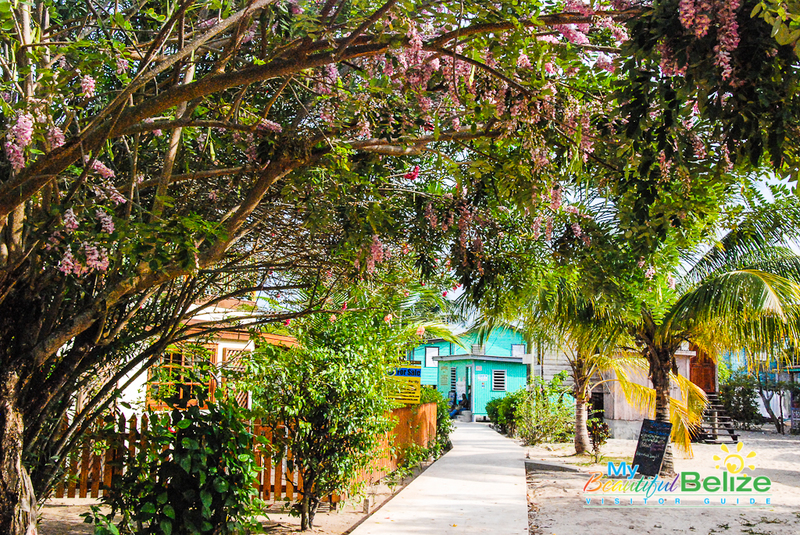 Almost a mile long (4,071 feet to be exact) and a mere four-feet wide, we were tickled to learn that this walkway had earned the Guinness Book of World Records title as the narrowest main street in the world! 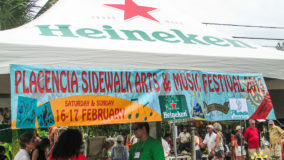 This is where the two-day 10th annual Placencia Arts and Music Festival was taking place and I’m pretty sure we walked all 4,071 feet of the sidewalk, at least twice! 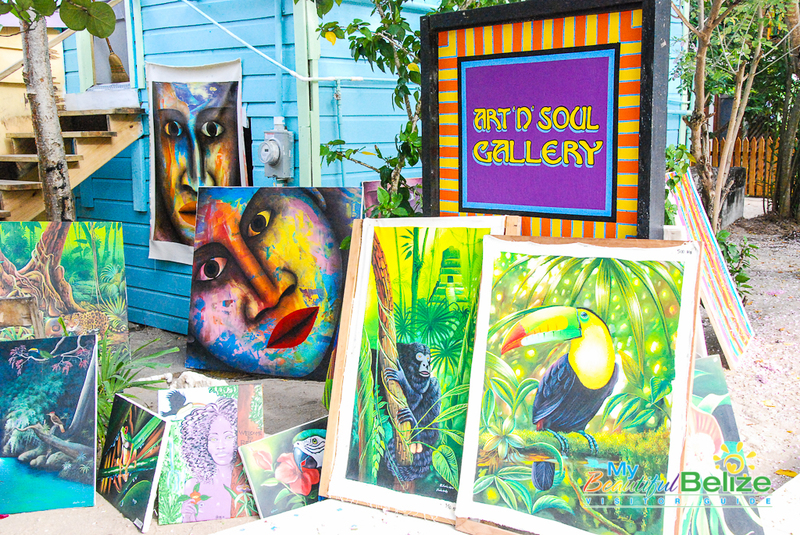 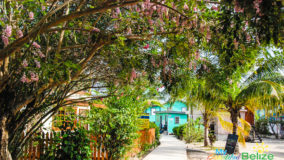 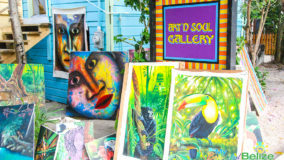 The passageway hardly feels like a street as you stroll down the picturesque sidewalk, which is bordered with vibrant blooming trees, tropical flowers and Caribbean colored homes and businesses. 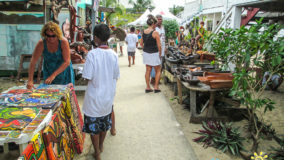 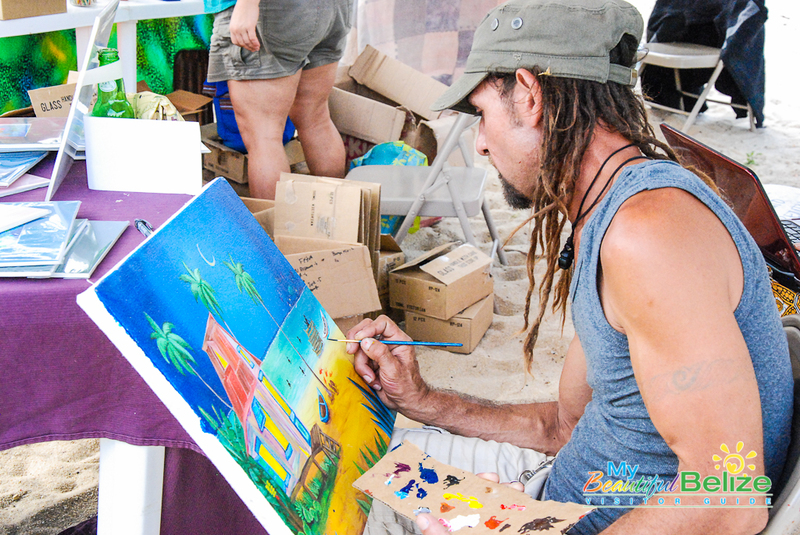 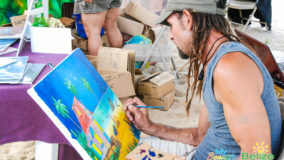 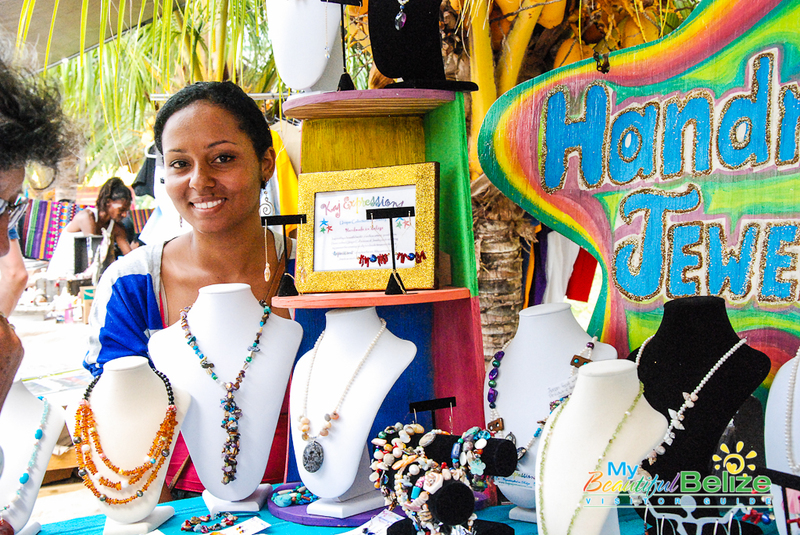 Here the parade of artists splashed the walkway with their rainbow creations, ranging from hand carved woodwork, jewelry, sculptures, photographs, tailored clothing and of course lots of glorious, colorful paintings. 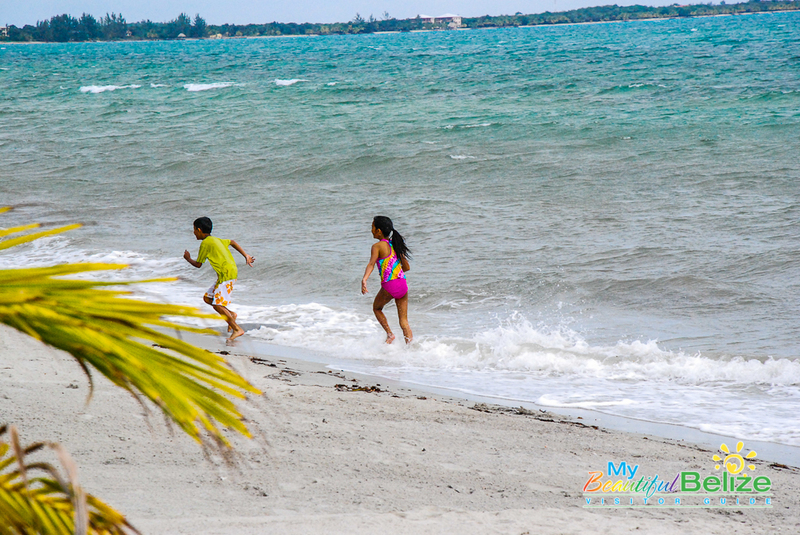 Music emanated from the beachside park, the air was rich with the scent of grilled foods and children were busy flying kites into the blustery sky. 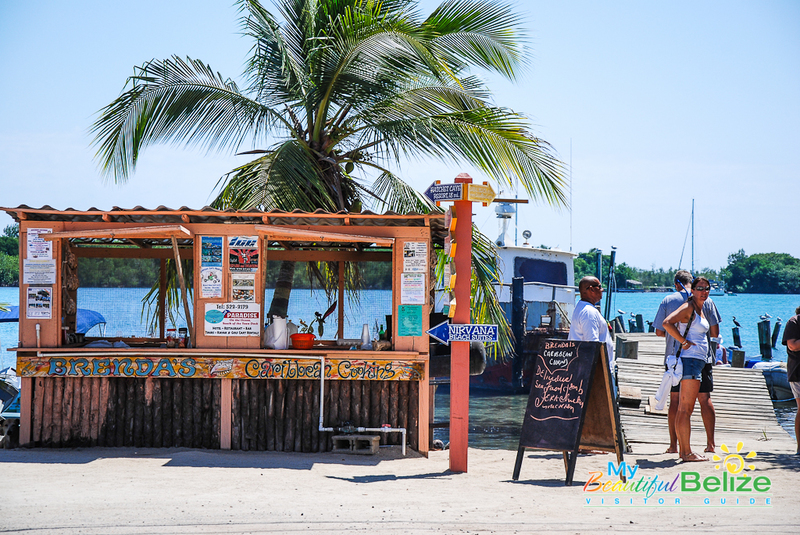 With plenty of inviting restaurants and bars along the way we of course had to stop and indulge our thirst with a cold Belikin, or two! 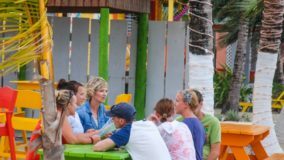 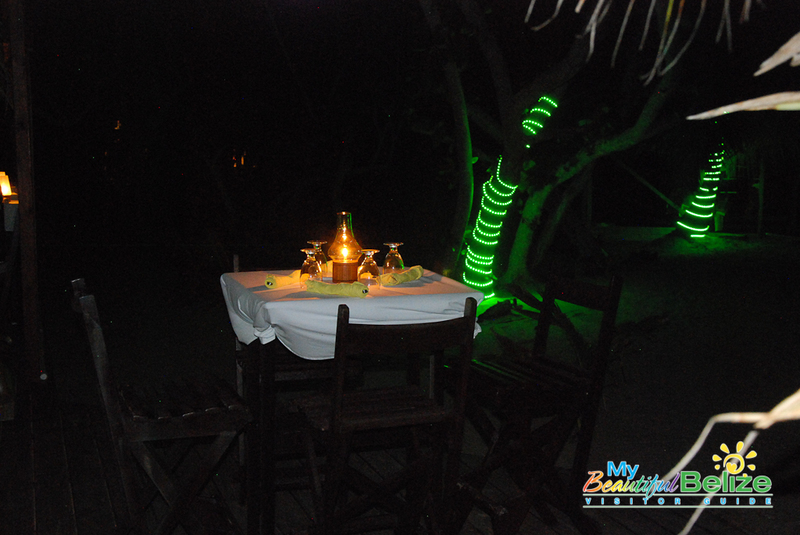 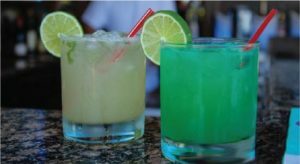 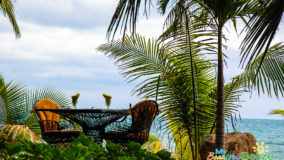 The area offers a pleasant variety of eateries and watering holes, so depending on what you fancy or what your budget allows, you are sure to find the perfect spot to imbibe in the laidback, beachside ambiance. 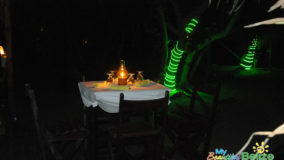 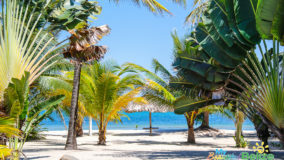 Synonymous with Placencia are some of the most recognized resorts in the country and while visiting the peninsula some of us stayed at Robert’s Grove Beach Resort just south of Seine Bight while others stayed closer to the village at the cozy and very comfortable Casa Placencia. 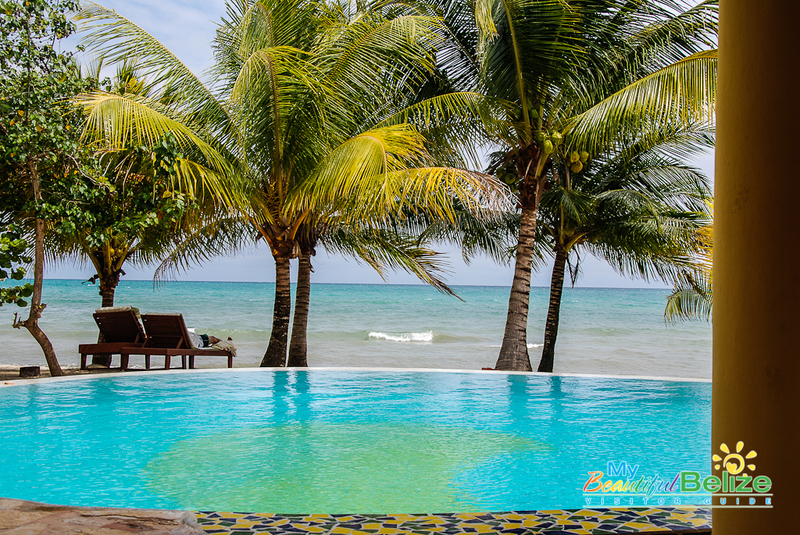 Robert’s Grove Beach Resort is featured in the February 2013 issue of United Hemispheres Magazine along with other Belizean resorts,and is widely considered one of the top beach resorts in the country. 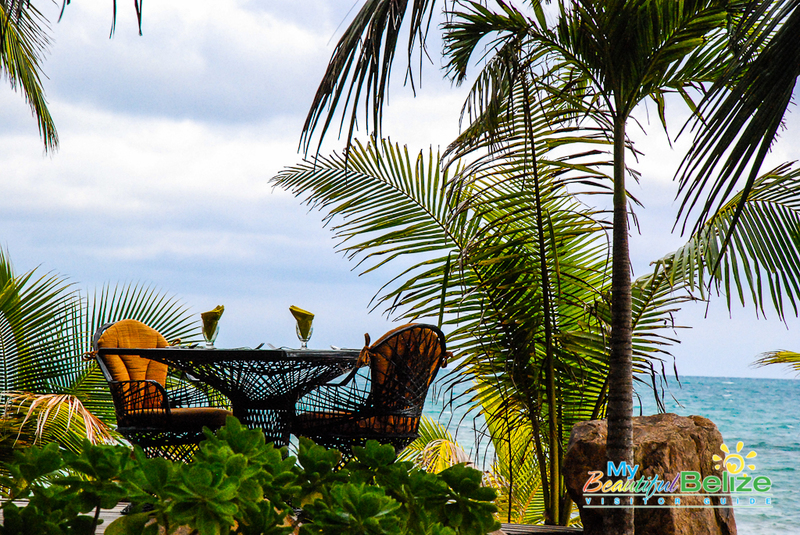 With three swimming pools, two restaurants and a marina, the beachside resort is expansive yet maintains the sense of understated Caribbean luxury. 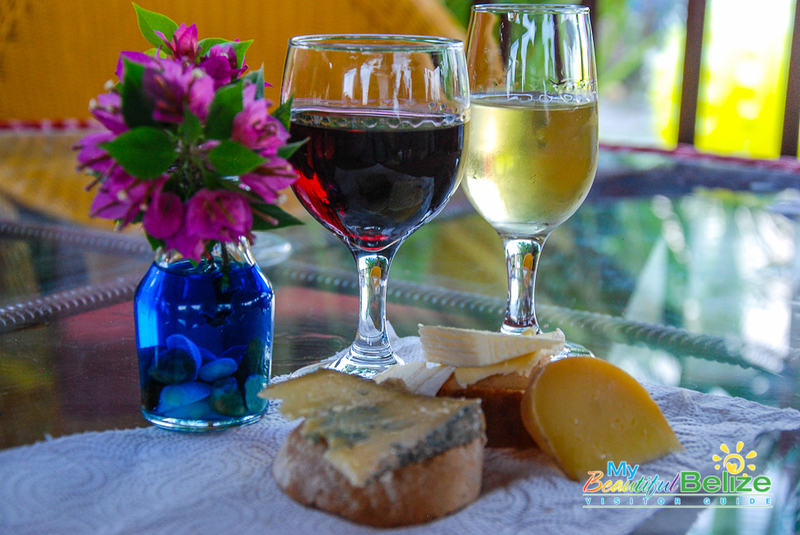 One fun new addition to the resort is Mathieu’s Delicatessen. 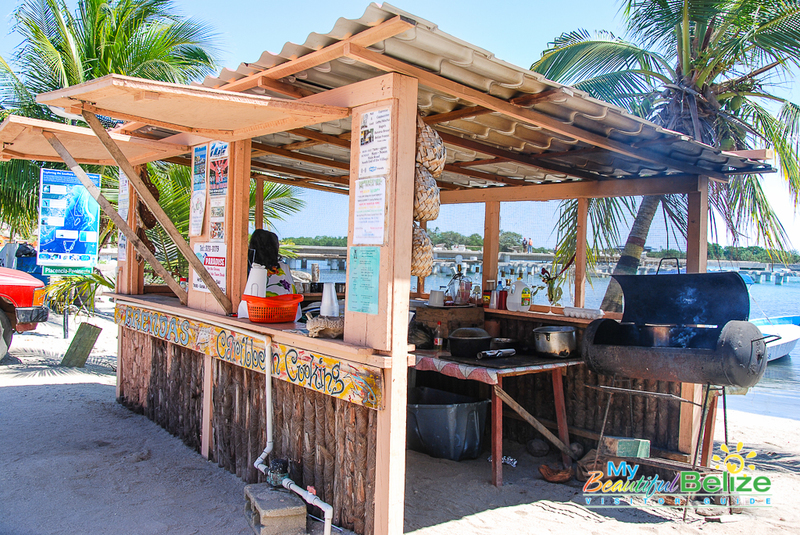 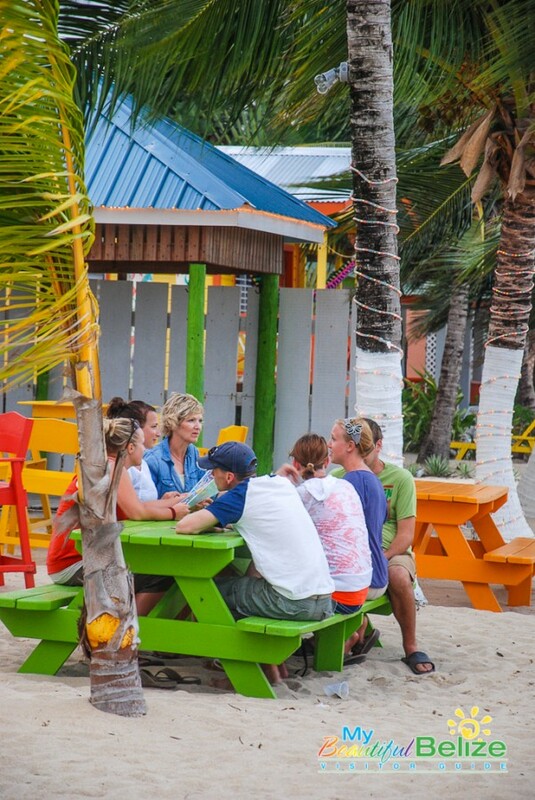 Originally located on Ambergris Caye, San Pedro was sad to lose one of our favorite bakers and chefs Gunter Mathieu when he and Anna Williams decided to relocate their popular Deli to Placencia. 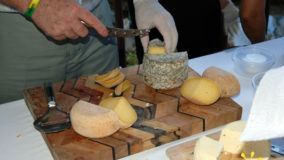 We were super happy to catch up with them when we attended the wine and cheese tasting hosted by Robert’s Grove and Ian Anderson’s Caves Branch cheeses. 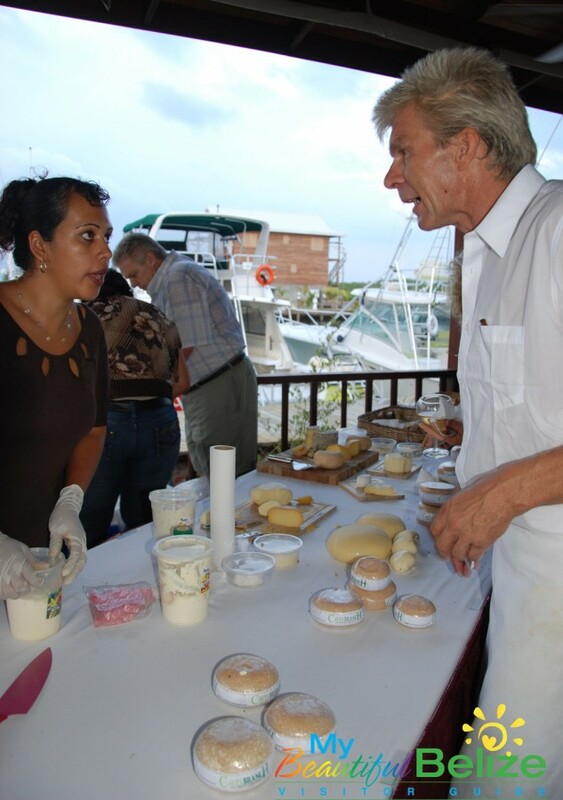 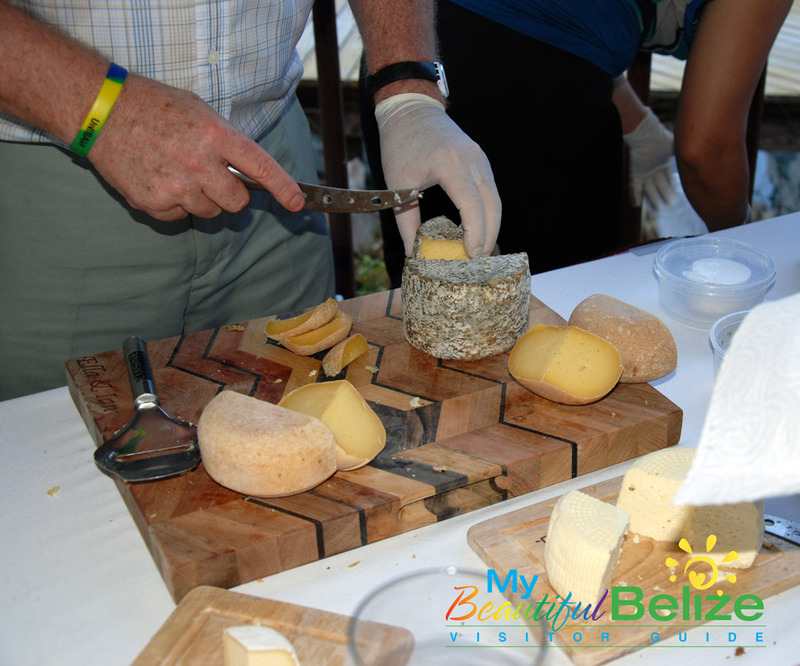 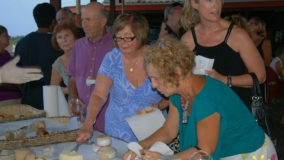 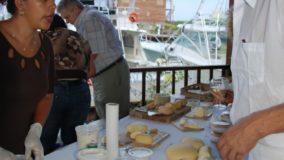 Not only was the cheese exquisite but all of the proceeds from the sale of the cheeses are donated to the Belize National Youth Chess Foundation. 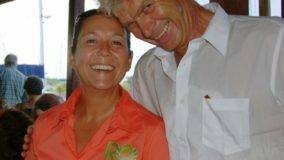 Now there’s a story you’ll have to read about at another time! 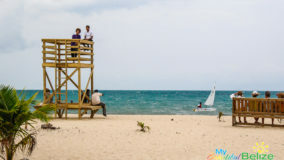 Placencia attracts many who are boating enthusiasts and the Placencia Lagoon is the perfect harbor for marinas that offer docking amenities and safety from storms. 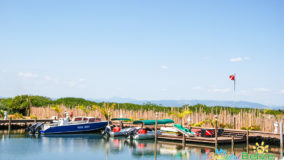 Resorts like Roberts Grove have expanded their marinas into properties that people can buy, build on and dock their boats at. 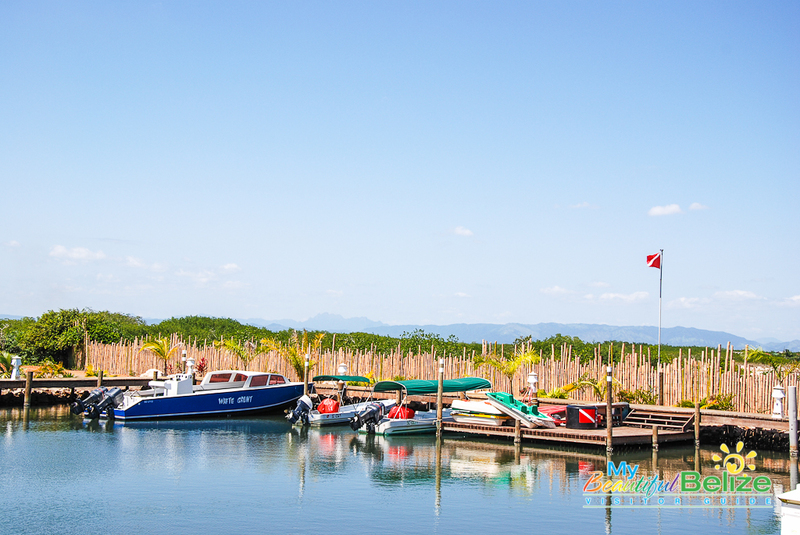 This is something we don’t see in San Pedro, and the homes, flanked by impressive boats clearly demonstrate that Placencia is the place to be for people who not only enjoy the terra firma of Belize but also thrive on exploring the gorgeous waters of the area. 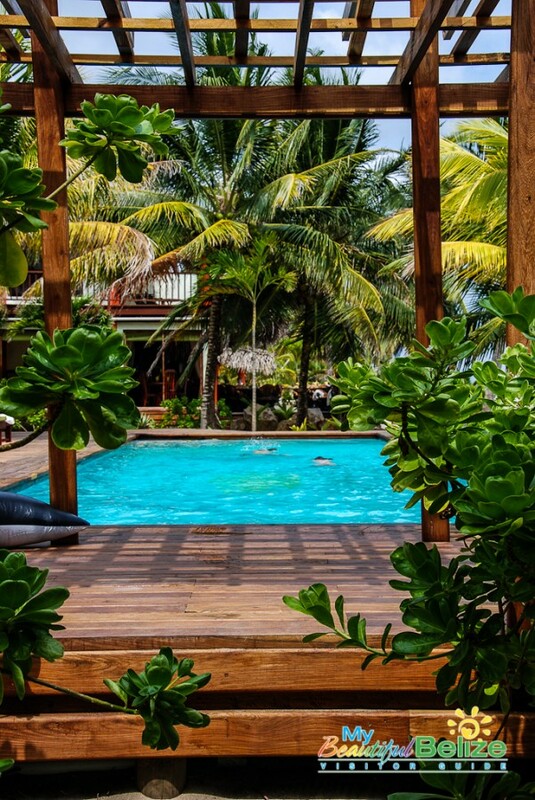 Adventure doesn’t end there. 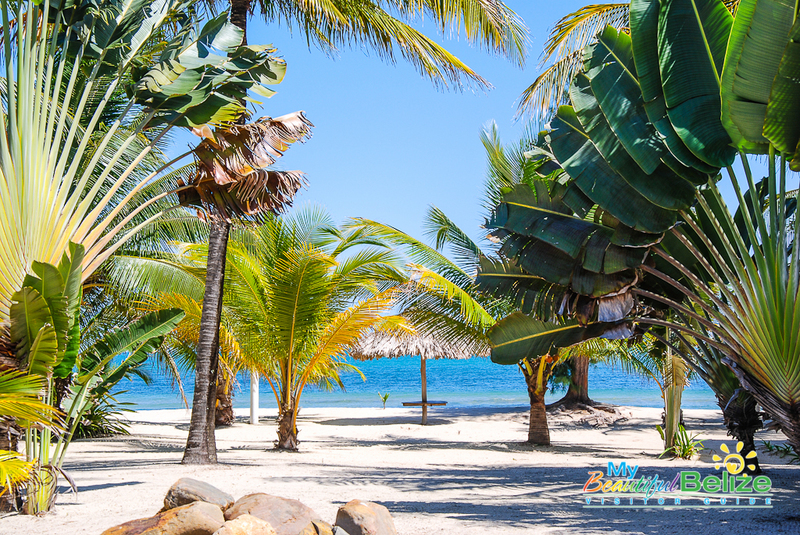 Placencia offers much to do, and our two-day road trip was just enough to entice our taste for more. 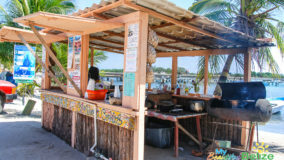 Placencia is the home of the first Lobster Festival in Belize; the last time I attended the annual celebration of the tasty crustacean there was in 2006. 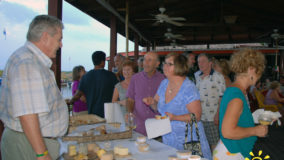 Wow it’s time to put that party on my calendar this year! 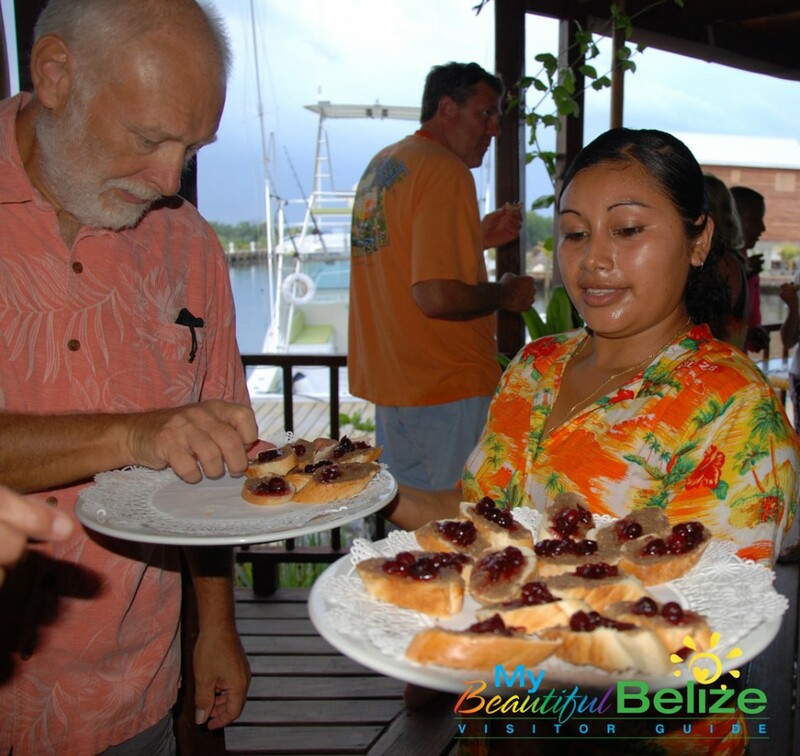 Another annual event that attracts many to Placencia is the whale shark season, which comes with the full moons between April and July. 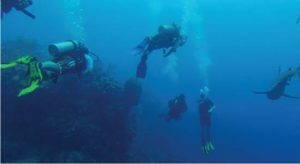 Divers and snorkelers have the opportunity to swim with these gentle giants as they feed on fish spawn. 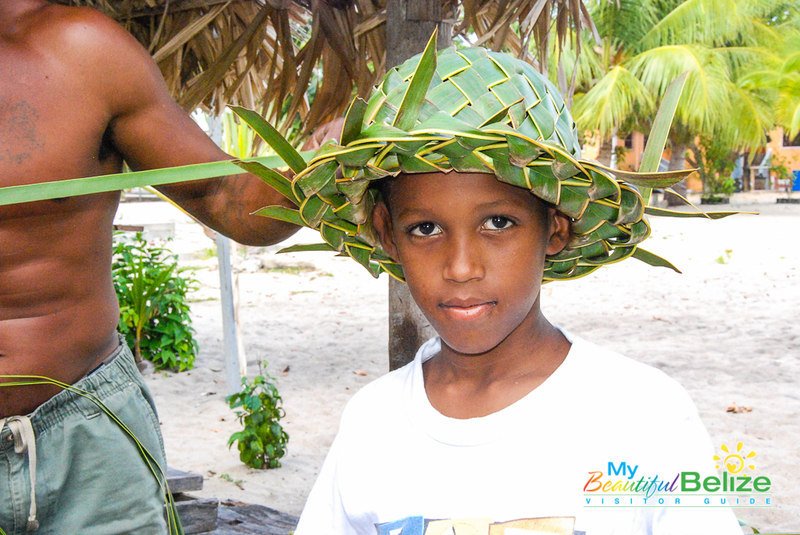 I have yet to do this so once again, my trip back to Placencia is already a must do! 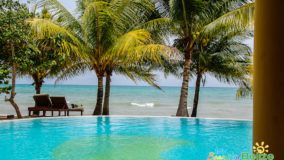 Other activities include diving, snorkeling, fishing and the usual water sports such as kayaking, wind surfing, kite surfing and paddle boarding. 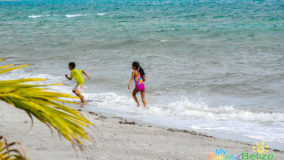 There are lots of day trips to be enjoyed, like exploring the Cockscomb Basin Wildlife Sanctuary or the Maya ruins of Nim Li Punit and Lubantuum in the neighboring Toledo District. 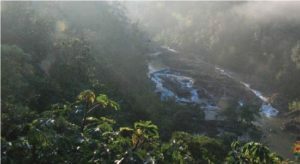 Of course the zip-lining and exhilarating waterfall rappelling at the Mayflower Bocawina National Park is a thrill that The San Pedro Sun’s Tia Chocolate can enthusiastically attest to, and if your idea of a perfect adventure is quality time in a beach side lounge chair sunning and reading a book, then you found your destination!